If you've never visited the Outer Banks before, you have no idea what you're missing! With beautiful beaches, spacious, comfortable homes and friendly communities to choose from, there are tons of Outer Banks homes for sale, from Moyock to Hatteras Island. There's so much more to this area than just the summer season, and a year-round second home lets you see it all! Need to know more? Here are some reasons to start searching for houses. "When you live on the Outer Banks, you can always take a vacation." When you buy a second home on the Outer Banks, you can always take a vacation down here. No matter where your permanent house is, the OBX is the ideal getaway. Whatever your hobbies, you don't have to go very far to find something fun to do. And if you'd rather relax and do nothing, that's totally fine too! Because it's easy to get to, the Outer Banks can make an ideal place to drop in, whether it's for a few days or a few weeks. If you're just renting, you have to rely on the owner's schedule. Why not make your own hours instead, with a home you know you'll love? Best of all, you can go from being an owner to a real investor yourself as you put more money into an OBX home over the years. Welcome your own renters and get the most out of your property. Soon you'll be a full-fledged OBXer. We're pretty laid back down here: We wear flip flops to the grocery store, we take it easy and we're always happy to say hi. It's a unique mix of Southern hospitality and coastal living, pirates, planes and perfect beaches. You won't find the same combination anywhere else, and there's something for you any time of the year. Mild weather and great neighbors can make you feel right at home early on. Whenever you want to come down, you can know that things will be cool and easy. That's good news for anyone who loves to surf, boat or fish. What's more, you can get to know the locals and look forward to returning again and again. The only thing better than a beautiful day on the Outer Banks is sharing it with a local community that loves this barrier island as much as you do. There's also plenty for fun-seeking families to find throughout the OBX. Take a trip to one of our five historic lighthouses, Civil War forts and the famous Lost Colony of Roanoke Island. Even parents can learn a thing or two! 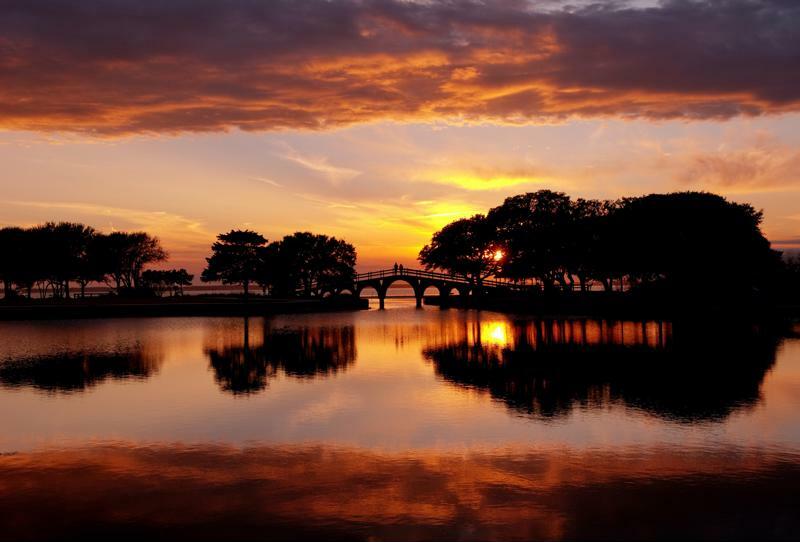 Enjoy the natural beauty and community of the Outer Banks. When you buy a beach house on the Outer Banks, you also become a regular part of the neighborhood. This is an awesome opportunity to attend festivals, concerts and other gatherings before and after the tourist rush. There's a whole world that opens up when the crowds die down. And if you ask the locals, the off-season is the best time of the year on the Outer Banks. You don't just have to stay in your own community, either. Route 12 runs along the entire Outer Banks, from Corolla to Hatteras Island, making it easy to travel the coast. Take a drive and enjoy the stunning views away from busy summer traffic. On top of that, there's also the local ferry system, making it simple to go from one place to the other. The transportation between Hatteras and Ocracoke is free and doesn't take reservations, while the others, between Ocracoke and Swan Quarter or Cedar Island, do take bookings ahead of time. Plan a day trip that works for you and come home to your own cozy OBX abode. If your friends back home get jealous, you'll know you're doing it right! Resort Realty of the Outer Banks will help you make the jump from renter to homeowner. The OBX homes for sale in our database are the best place to begin your local housing search. Contact us today to get started!